The popularity of personality theories seems to have no end. And out favourite— The Enneagram— has been picking up steam on Instagram recently, making this theory about the nine types of personality all the more accessible and fun. 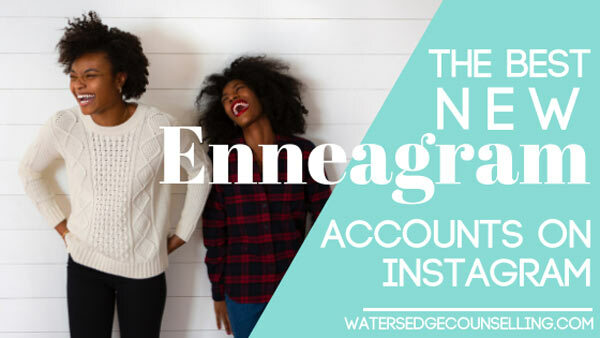 If you love the Enneagram or want to learn more, here are some of our favourite new Enneagram accounts and recent discoveries. Want more? Make sure you check out our post ‘Ten Great Enneagram Resources For You’ and visit our free download page! One of the biggest Enneagram accounts to spring up in the last few months, this covers each type extensively; providing you with information, debunking myths and stereotypes, looking at pop culture characters, and even exploring mantras. With a podcast also available for this account, it’s quickly become a staple for many Enneagram aficionados. This is a fun and informative take on the Enneagram in pop culture and everyday life. From perfect Valentine’s gifts, to your type’s biggest fears, desires and even your Disney princess match, this straddles the line between being educational and fun. If you want a flood of memes and gifs that take the mickey out of your favourite Enneagram type, look no further. This account covers all nine types equally well, pairing hilarious moments from sitcoms like Parks and Rec, New Girl and The Office with character traits of each type. Created by husband and wife team Peter and Elisabeth, they embrace the spiritual component of the Enneagram. Sharing core motivations, Bible verses, and details about wings and triads, if you want to go deeper with the Enneagram this is a good place to start. What does the Enneagram look like in society, and how can we better understand the people in our lives through it? This account challenges myths are each type, what characteristics shaped us in childhood, and what it means to be in relationship with one another. If you want bite-sized takes on each personality type, the Enneagram Academy provides you with digestible and simple posts that will give you a taster of your personality. Exploring triads, wings, and the healthy and unhealthy facets of each type, it’s worth a follow. What could be better than mixing cute dog videos with the Enneagram? Nothing! While this isn’t updated too frequently, the fact this account portrays each type in the behaviour of unique, hilarious and cute dogs makes it a necessity. Enneagram coach Abi Robins gives an informative and extensive take on each type, communicating the nuances of each in narrative form. If you want to better practice self-awareness and self-care, this is a go-to for advice and affirmation. Do you want to learn more about The Enneagram? Would you like to better understand yourself and how to approach relationships in your life? Here’s what you need to do: Contact Colleen on 0434 337 245, Duncan on 0434 331 243 or Rachel on 0422 177 193 for a FREE 10 minute consultation on how we can best help you or book online .